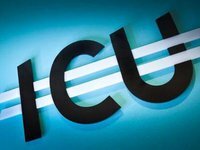 ICU investment group, one of the largest on the Ukrainian market, has entered the venture capital market and launched first five investment projects, ICU Director Roman Nikitov has said. "We only have started investing this year, it took us several years to make this decision... We made five investments," he said at the Ukrainian Financial Forum in Odesa, organized by the ICU investment group. Nikitov said that the ICU strategy involves investments from $200,000 to $1 million. "Our strategy is to support Ukrainian innovations, invest in companies that are either based in Ukraine or have relations with Ukraine, and more broadly - Eastern Europe. We invest in almost all sectors except those that we do not understand," he added. The director of the ICU said that Ukraine stands out thanks to the presence of a significant number of intellectual and cultural people. The group is going to disclose this potential with its venture investments. He said that among the promising areas are agro-technology, cyber security and infrastructure solutions with blockchain.